St Mary Magdalene was taken on by the Friends of Friendless Churches in 1982 after a declaration of redundancy. The church is listed Grade II* and dates from the fourteenth and fifteenth centuries. 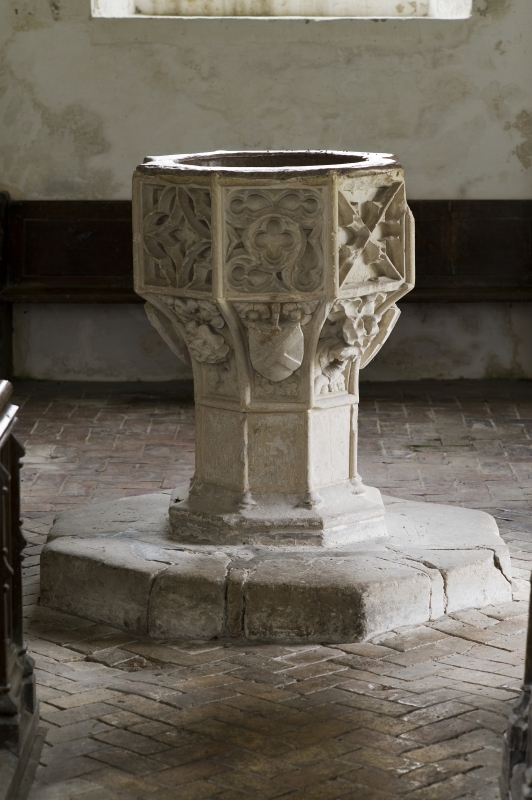 Special features include a crocketed stoup and a memorial to the 1st Viscount Caldecote. The church also retains its fine medieval font and pews, and a Georgian pulpit. Caldecote is also of interest for its early repairs – undertaken in the 18th century using red brick to fill in the clunch (chalk) that has worn away. We are very grateful to the Caldecote Church Friends who amongst other things help put on the popular Fuchsia Festival in the church each year.